Customer service is available Monday through Friday 8am to 6pm PST. At ANSGEAR, our main goal is the satisfaction of our customers. We have been a leader in the paintball community around the world for over 15 years and have helped grow the sport of paintball into what it is today. We strive to provide you with a pleasant and easy shopping experience by offering the best price, best service, best selection, promptness, and reliability. When you shop at ANSGEAR.COM you can be sure you're getting the best deal. We strive to offer our customers the lowest prices. We constantly monitor other company prices and adjust our prices accordingly to give you the best price possible. If you ever find a lower price anywhere online, just contact us through live chat and request a price match. By shopping at ANSGEAR.COM you are assured high quality customer service. We want to help you make an informed purchasing decision by giving you thousands of photos and detailed product descriptions. If you ever have any inquiries, just contact us. Our dedicated and knowledgeable team of customer service specialists are here to help you. By shopping at ANSGEAR.COM you have thousands of in-stock items readily available. 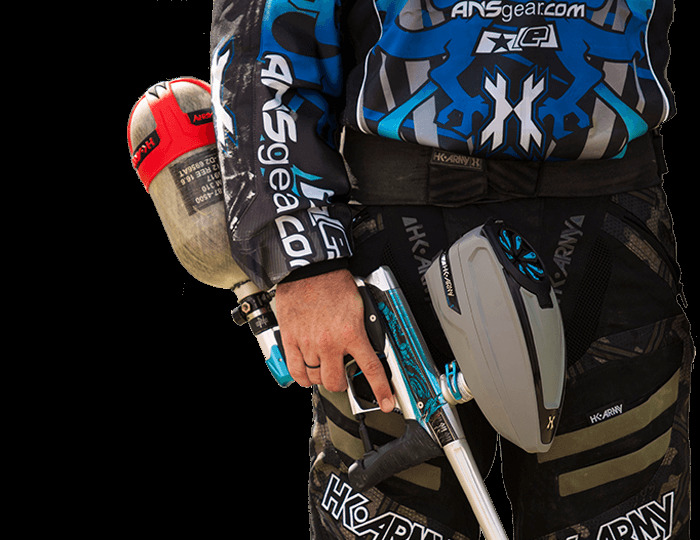 We are one of the best and biggest retailer of paintball gear in the world. We are ready to provide you with all of your gear and apparel needs. If there is ever an item that you are looking for and you don't find it on our website, contact us via live chat and we will help assist getting the product for you. By shopping at ANSGEAR.COM you get fast service.We are committed to providing you with the most efficient and cost effective shopping experience anywhere. ANSGEAR.COM uses the two (2) most reliable sources for shipping, Fedex and USPS, live rates can be found upon checkout when products are added to the shopping cart. Most orders are shipped out within 24-48 hours upon placing an order.Under special circumstances, this time line may be increased due to special orders or inventory inconsistencies. Shipping insurance is offered for all Fedex & USPS shipments and MUST be purchased at the time of checkout. At ANSGEAR.COM, your satisfaction is of utmost importance to us. We have been a leader in the paintball community around the world for over 15 years and have helped to grow the sport of paintball into what it is today. Be assured that ANSGEAR.COM provides products at the best prices and its main goal is the satisfaction of its customers. You have the power of the internet at your fingertips when you shop at ANSGEAR.COM. We want to make your shopping experience as pleasant and easy as possible by providing you with detailed order tracking, live chat, and fast order processing. Still can't find what your looking for? Contact us.